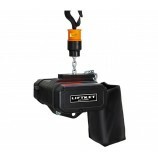 Tralift™ type hoists are manual chain hoists. They are used to lift loads. The product is very easy to install. For lifting, the hoists are usually attached to Corso clamps or trolleys. Lifting or positioning of a load using a Tralift™ lever hoist. The robust design allows you to easily lift 250kg. 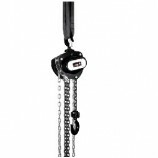 The chain drop of 10m makes it a very versitle chain hoist.